In years past, I have put out a wide variety of goodies to welcome students back to school. 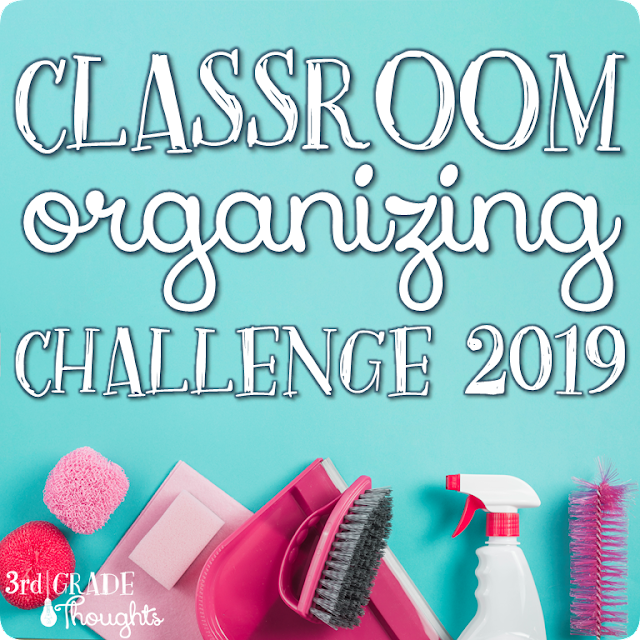 The first time they step into the classroom, typically during Open House the day before school starts, I want them to be able to find their table spot and have something fun already waiting for them. 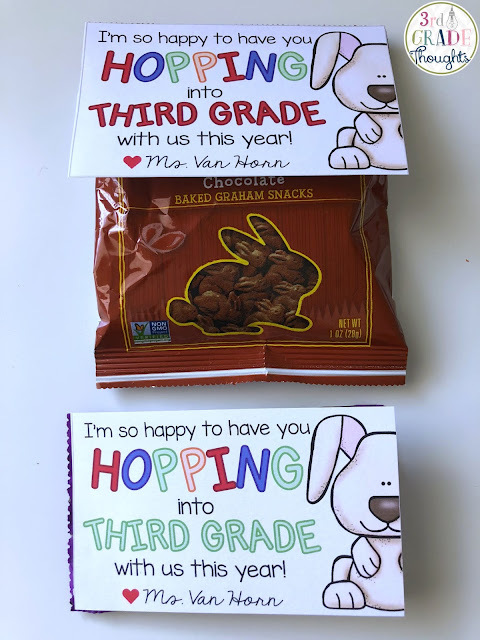 There are so many possibilities-- from pencils, to glow sticks, to food-- and this year I am choosing my most favorite snack (and what has basically been a food group for me this summer), bunny crackers and gummy bunnies from Annie's! I had never really gotten into these before, since the smaller size boxes at our grocery store were so expensive. However, our local Costco started carrying them and I also found them on Amazon HERE and HERE. Do any of you use their Subscribe & Save feature? I use it each month and it gives me even more of a discount. 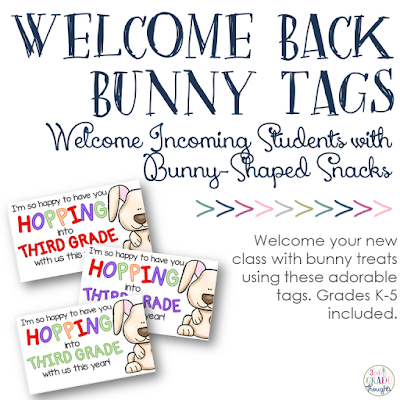 So, once I found these discounted options, I have become a devoted cheddar bunny lover and knew these would be the perfect treats to pass out to this year's students. I also picked up some of the gummy bunnies for my students who have sensitivities with gluten. These tags are super-easy because nothing is worse than complex work in August and September.... there's enough on the to-do list already! 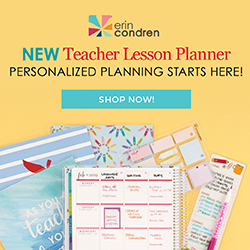 They are available in Kindergarten through Fifth Grade, with four on a page for less paper use. 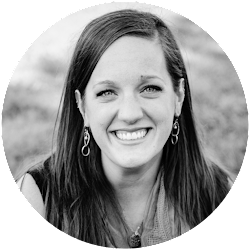 You can easily print them and sign your name, but, as you can see, I am looking for even less work than that, so I have included a PowerPoint version that allows you to add your name in a text box to the bottom in the size, color, and font of your choice! All that is left is to cut and tape down onto the snack bag-- I used double-sided tape because it was all I could find at my house at the time-- but packing tape, Scotch tape and even staples would work well. 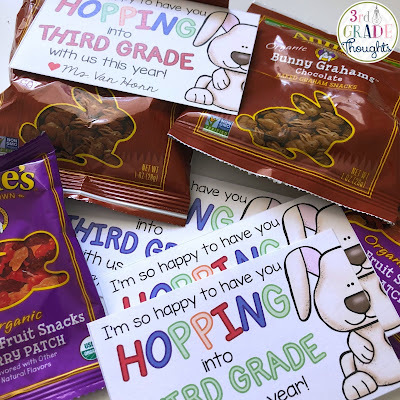 These would be a fun find during Open House, Back to School Night, on their spots when they walk in on the first day of school, or even as a treat during your first snack time! You can find these in my TpT Store HERE. 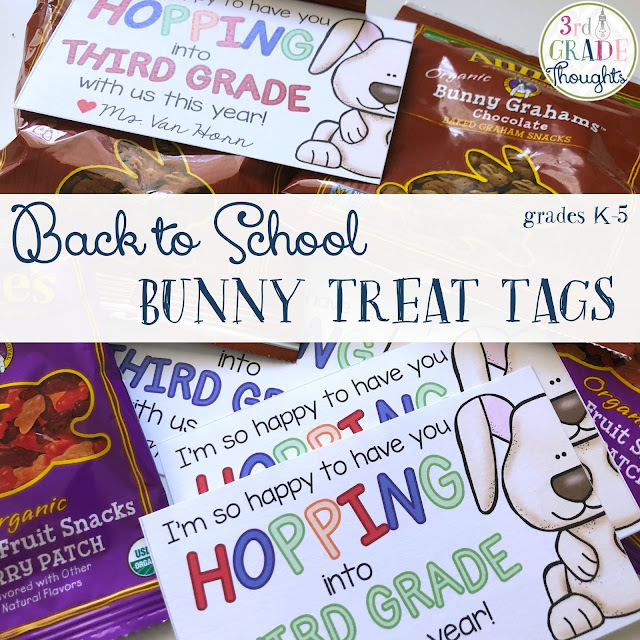 I hope these can help your back to school transition and give you a quick and easy way to add a sweet treat to your students' first meeting with you!